With several First Person Shooter zombie games springing up monthly, even the best fans of this genre of games are bound to get bored at some point. The story lines are becoming similar; just shoot a zombie and it dies before you get to repeat the same routine with yet another zombie. 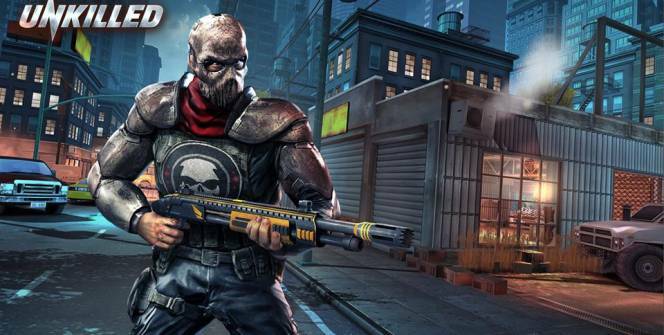 Lovers of zombie first person shooter games are craving for more, and one can hardly blame them. Unkilled: Multiplayer Zombie Survival Shooter game for PC is yet another addition to the thousands of zombie games we already have available. So far, the game has enjoyed major success on the Android and iOS platforms and now we have a PC version to also reckon with. But why is the Unkilled: Multiplayer Zombie Survival Shooter game different from other zombie games? The features itemized below should provide the much-needed answers. The game is staged in New York city after a devastating zombie apocalypse which left its street crawling with the walking dead. Your mission is to find the secret behind the zombie plague and put an end to it once and for all. Five characters are available for you to choose from before you can become a part of the Wolfpack an elite group with the sole mission to rid the city of the zombie plague). Killing zombies all the time can be become boring, spark the excitement by competing with friends in a PvP multiplayer online contest. The thrill is unbeatable, and the fun is out of this world. A unique story line connects more than 150 missions together. These missions are strategically designed in a way that makes sure you are always fighting for survival. Have fun while taking down big bosses like THE BUTCHER, DODGER, SHERIFF, and much more. Asides killing zombies, you can build a large zombie army in the Skirmish ops to help you terrorize bases built by other players. Cool, right? Characters are customizable with several skins available. Be a zombie killing machine and also look ravishing while you are at it. 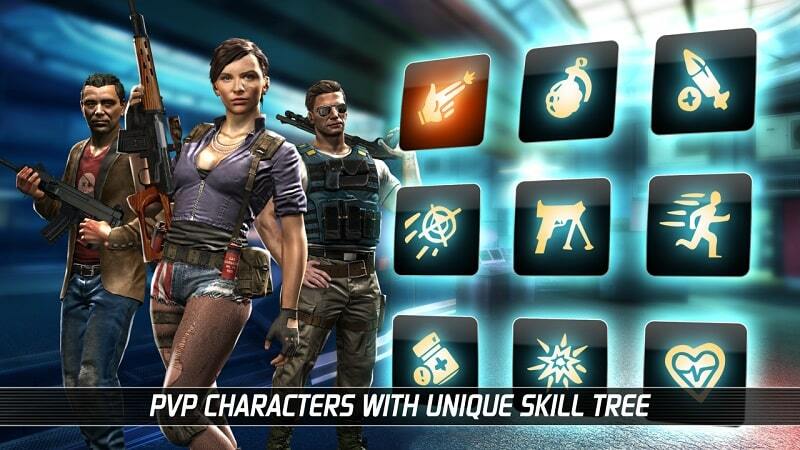 Unkilled: Multiplayer Zombie Survival Shooter Game for iOS and android featured some “insane” guns. The PC version of the game does not drop this standard in any way. You have more than 40 weapons arranged in 5 classes to choose from. These include the M24 sniper rifle, SAIGA-12K shotgun, machine guns and much more. So many guns are available, make sure you do not run out of bullets. Great games always have great graphics and Unkilled: Multiplayer Zombie Survival for Android, iOS, and PC cuts the mark. The game has got an impressive cinematic experience, high polygon models for characters and real-time shadow effects. Stage and designing are also off the hook and together with a great story line, we have an awesome game on our hands. You can always switch to PvP mode where things get really interesting. Learn to customize your hero with load outs and unique skills before facing real opponents in special environments. With every challenge you accept, there is a chance to earn more rewards, gold, gadgets, and much more. Become the champion of PvP matches and also earn valuable “Intel” alongside. The thrill goes on and on. 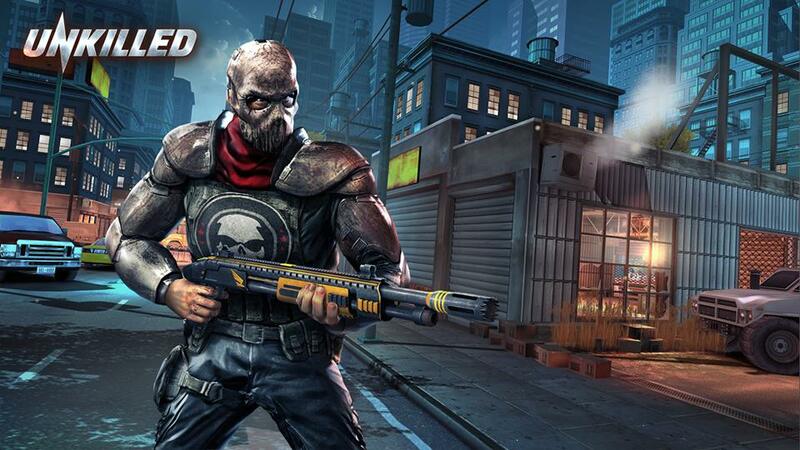 Unkilled: Multiplayer Zombie Survival Shooter Game for PC is available for download for free. The Android app, iOS, laptop, and desktop versions are also available. Sometimes when playing UNKILLED: MULTIPLAYER ZOMBIE SURVIVAL SHOOTER, bluestacks ask you fee to pay but gives you option to download some apps. Every time it asks you just select “Install apps” and continue using it free. I hope you enjoyed this article, please rate and share. If you have problems running UNKILLED on your desktop or any other issues, leave a comment below.